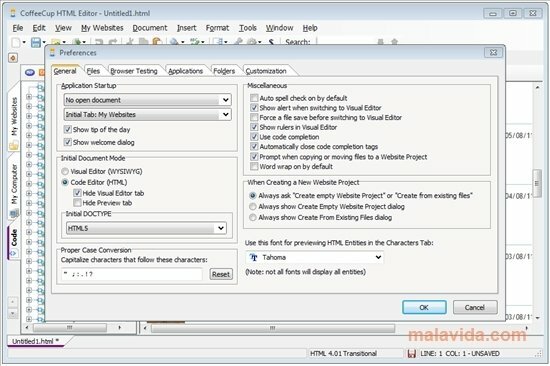 Whether you have any HTML knowledge or not, CoffeeCup HTML Editor is a brilliant editor of the most used language for the creation of websites, the HyperText Markup Language. This is due to the fact that CoffeeCup HTML Editor offers you the possibility to program traditionally with the code editor, or simply dragging and dropping elements with the visual editor, because it includes WYSIWYG (What You See Is What You Get) technology, that allows you to program seeing what your web page is going to end up looking like. 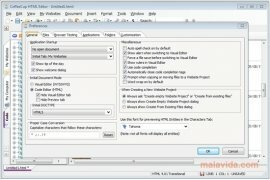 This program offers other interesting utilities like the HTML and CSS code completion, that simplifies our work and saves time when creating our website, the project manager to gather the files that belong to the same project, the quick help to refresh your memory if you need it, a good collection of graphics, etc. With CoffeeCup HTML Editor, you choose the quickest and most comfortable way to program!